At LimitLess Dog Training in Murrieta CA, we have an adaptive menu of training packages, including several different options to best fit your lifestyle and your dog's individual needs. At LimitLess Dog Training in Murrieta, CA we provide a Free In-Home Evaluation with you, your dog and one of our professional dog trainers at your home. 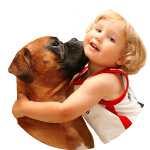 We understand that choosing a dog trainer is an important decision. You should base your decision on results and finding the right program for you and your Murrieta dog. It doesn’t matter if you just brought home a new puppy, an older dog with deep rooted bad habits, or you would just like to have more control, we have a dog obedience training program for you and your family. Email Us or Call Today! (951) 216-DOGS. 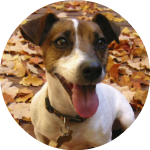 See What Our Clients Have to Say About Our Dog Training Programs! 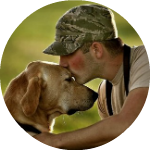 See some of the amazing things we have accomplished with dogs just like yours! BOARD & TRAIN PROGRAMS Is your life is busy and fast paced? At Limitless Dog Training we understand that and are here to help! Our Jump Start Program is also known as a “Board and Train” or “Doggy Boot Camp.” Our team is ready to care for your dog day and night to start working on your dogs behavior and bad habits while you are out enjoying life. Your best friend will be supervised and taught a strong foundation of obedience while implementing good habits and socialization skills. Sign-up for your free evaluation today! PRIVATE LESSONS Our private lesson program is designed with you in mind. We take the time to design each lesson specific to your needs and training goals. This one-on-one time gives you the attention you need to properly become a leader and teach your dog the appropriate skills needed to successfully be a part of your family. Sign-up for your free evaluation today! PUPPY MANAGEMENT PROGRAM A new puppy is exciting, and getting a start on the right foot is important. 8-16 weeks of age is the perfect time to start introducing your dog to basic obedience commands as well as coming up with a proper management system. 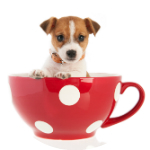 We cover all of your puppy concerns as far as potty training, your role as a leader, confidence building and socialization. BOARD & REVIEW This program is offered to our graduate students who have completed our program. This is a great opportunity for your dogs skills to be refreshed while you are out of town or just busy! Your dog will enjoy field trips and exercise all while brushing up on those important every day habits. LUNCH & LEARN EDUCATIONAL PROGRAM Are you in the pet medical field or Pet industry? Great! Limitless Dog Training would love the opportunity to speak to you and your staff regarding dog training, bite prevention, and dog behavior. We will provide your staff lunch while you learn important tips from one of our Professional Dog Trainers. You will also be entertained with some fun tricks performed by one of our dogs! The beautiful weather in Murrieta and those “just right” Summer-time temperatures are perfect for swimming and enjoying the Dog Beach with your dog. However if your dog: does not listen off-leash, cannot swim confidently or has problems getting along with other dogs, the dog beach may not be the place for your dog. Or is it? LimitLess Dog Training can help! we offer obedience programs, behavior modification and even our Famous “Teach Your Dog To Swim Course”. TORRY PINES DOG PARK – 39455 Torrey Pines Road Murrieta, CA, USThis 8.8-acre park features a dog park with separate areas for large and small dogs, a baseball diamond with a synthetic turf field, snack bar, restrooms, covered picnic tables with bbq’s, playground with shade cover, and large open field! FIESTA ISLAND – Mission BayLocated in Mission Bay Park, dogs are allowed in all areas except for the Youth Campground and Least Tern nesting sites (seasonal). Daily 6:00 am – 10:00 pm, this area offers calmer waters than the ocean and sand dunes to run on. This dog park has a separate small dog area, benches, shade, and drinking water. (post-Labor Day thru June 14 off leash) – located at Via De La Valle and Highway 101 at the River-Mouth. Off leash area is north of 29th St.
© Copyright 2019, LimitLess Dog Training Inc.